$20 per ticket — 6 tickets for $100! 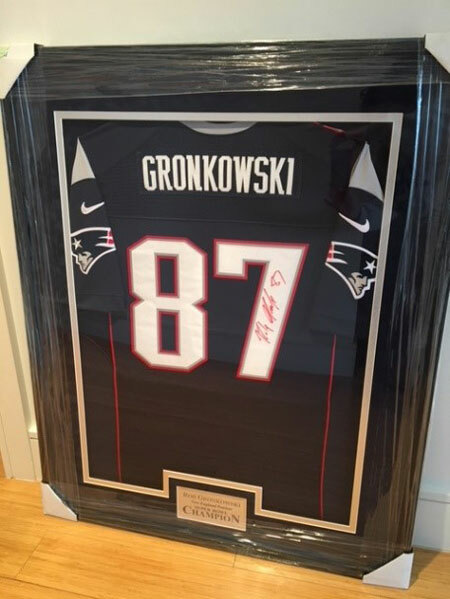 Win an authentic, official game day jersey personally hand-signed by New England Patriots tight end Rob Gronkowski! This professionally framed collector’s item comes in a deluxe wood frame measuring 34″ x 44″ and is ready to hang in any home or office. Comes fully certified with a Certificate of Authenticity. The drawing is scheduled for March 31, 2018.